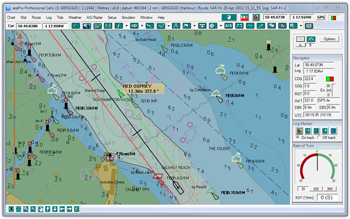 seaPro Professional is a powerful electronic charting and navigation system designed for the modern Navigator (sub-ECDIS). 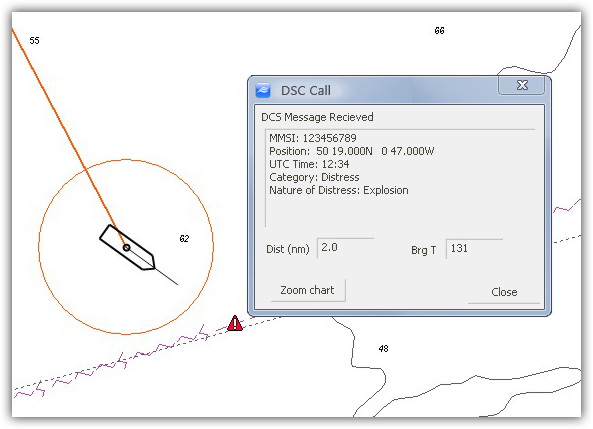 Available as software or fully integrated bridge system, seaPro provides practical real-time navigation that interfaces to GPS, ship board sensors and ARPA radar's. Used together with high quality digital charts such as S57, Livecharts or ARCS, seaPro provides the ideal central navigation station. Note: The use of paper charts is still required, unless a fully compliant ECDIS system is used with ENC (S57) charts. seaPro provides both Relative motion and True motion modes. Relative or ‘Look ahead’ mode enables the vessel to remain at a fixed position giving the navigator a clear view ahead of the vessel. In this mode the chart is automatically scrolled in the background allowing true ‘hands-free’ operation. seaPro Professional contains advanced route planning facilities that enable tidal and magnetic variation to be automatically calculated in passage plans. seaPro Professional can be customized by Euronav for special applications - please call for details.